1,235 square miles of preserved desert have been monitored by 8 personnel due to the shutdown, which has allowed visitors to essentially run wild through the park. GoodFreePhotosJoshua Tree National Park’s once pristine landscape. The government shutdown has wrought an extensive range of misfortune on the country’s National Parks and for Joshua Tree National Park, that misfortune has come in the form of unruly visitors who drive illegally off-road, cut through campground chains and locks, and have even gone so far as to chop down the park’s much-cherished trees. This level of vandalism has been virtually unavoidable, as only eight park rangers were in charge of protecting the 1,235 square miles of property during the federal shutdown, the National Parks Traveler reported. According to Superintendent David Smith, the extent of the park’s defacement is without precedent. 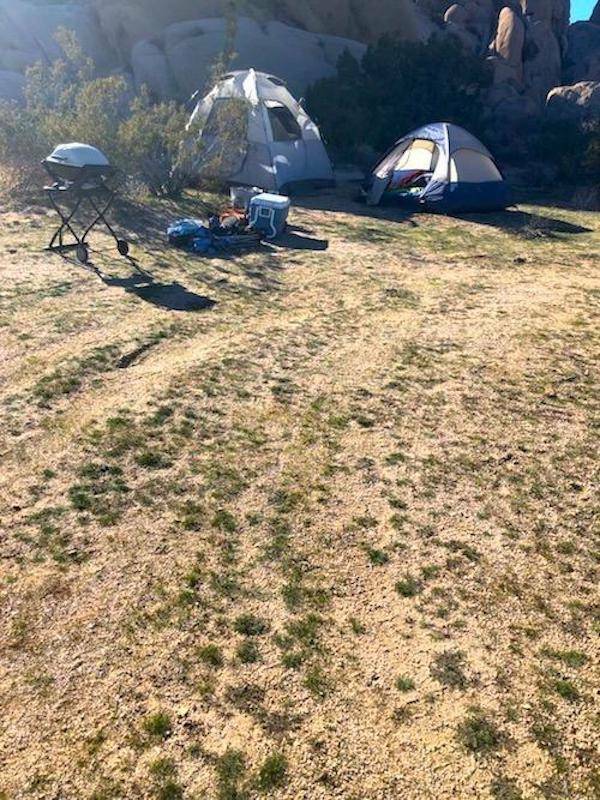 National Park ServiceTire marks and illegal camping at Joshua Tree National Park. The new roads are the result of visitors driving their vehicles off the established routes designed to keep the park unspoiled. They weren’t extensive in length, but certainly left a visible, environmental impact on the property. The National Park Service was ordered to keep as much land open as possible during the shutdown, but to keep only essential personnel on staff to do so. They’ve thus had to cut down from some 100 employees to less than 10. Naturally, regulating the entirety of these grounds was physically impossible under those conditions. 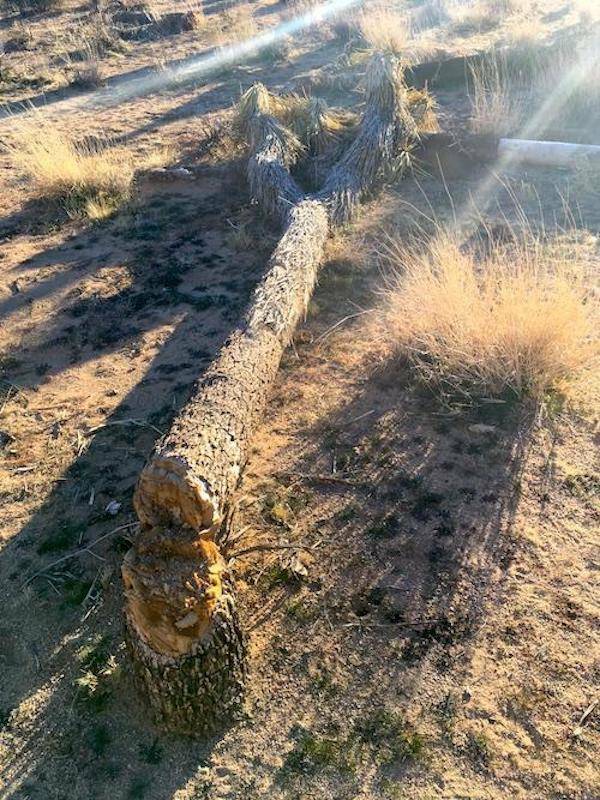 National Park ServiceA tree at Joshua Tree National Park, ruthlessly chopped down. Unfortunately, some of the damage is irreversible. 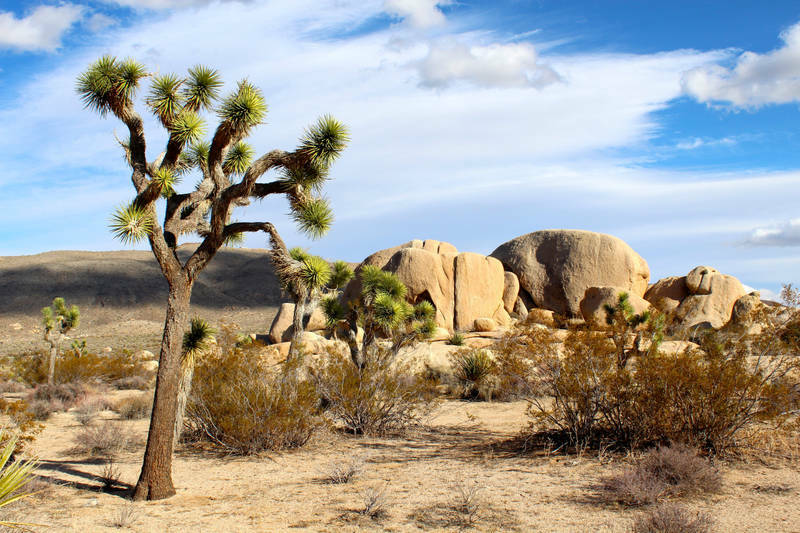 The Yucca brevifolia trees, for instance, take about 60 years to mature and live for over 500 years. Many of them have been cut down. By some standards, the damaged trees may take up to 300 years to recover. 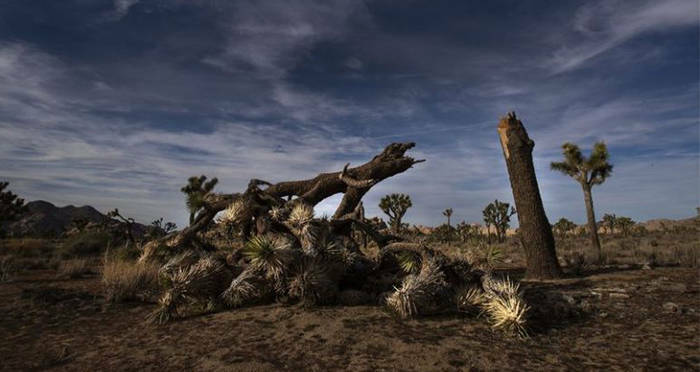 “What’s happened to our park in the last 34 days is irreparable for the next 200 to 300 years,” said former Joshua Tree National Park superintendent Curt Sauer, according to Smithsonian. It is tragic that much of our citizenry chose to conduct themselves this way. On the bright side, it’s reassuring to know that there are many of us who actually care, and rally together against this kind of behavior. Next up, read about these enraging poachers who killed 100 elephants with cyanide. Then, read about a tree planted by George Washington that fell victim to a Nor’easter.